Join Greg Hunter as he goes One-on-One with economist Dr. Paul Craig Roberts. You do a wonderful service to the world by presenting such learned and informed guests. I, and many others to be sure, are appreciative. But, please, STOP INTERRUPTING. We can hear what the guest says, and can replay the audio if we have a question. The audience loses the train of thought by your continual (and lengthy) questions and opinions. May I suggest that if you want to share your opinion, or want to emphasize certain points, why not just add them at the conclusion of the interview. I am not going to change so this is it. Thank you for your support. I disagree, I watch these videos as much for the guests as I do for Mr. Hunter. If you want to watch a comedy show, then tune into “Here’s Lucy” or “Mork & Mindy”. Most listeners watch these broadcasts to get information from expert guests, not get a ‘chuckle’ from Greg. It’s annoying, not funny. Greg, we really appreciate all you do, but I also think you would benefit from learning to control your tongue when your guest is saying something important. Perhaps you could be the guest on your own program sometime and ask yourself questions. Then you could speak to your heart’s content, but again, it detracts from the interview when you pontificate at length, as it defeats the whole point of having a guest speaker on your show. Thanks! Thank you for your critique, but I will interject when I think I need to. Thank you for your support. Zorro! You’re killin’ me!! LOL! We still luv ya Greg! It’s called weekly news wrap up. Where have you been? Greg your doing an outstanding job and most who tune in share your enthusiasm and appreciate your interjections and control and direction of your interviews. Most people find economics B O R I N G and the old fuddy duddy’s just have to realize you cant be just preaching to the choir all the time. Even Jesus had to tell his disciples he came to heal the sick, the healthy are already well. This is your ship and it’s your responsibility to keep it interesting for everybody. Your site is attracting many new people all the time from all over the world, especially the English speaking, who many never knew what in the worlds been going on economically around them, affecting them in so many ways. Above all your warnings, to everybody to wake up and smell the moo la, because soon we may not have any and we might just all be on the government dole fighting for the crumbs. May that never happen to you and your fellow watchdogs Greg! Thank you for your comment. I do try to make the interviews interesting and try to keep it moving. Thank you for noticing. Thank you for your comment and support. I realize I am far from perfect, but I wonder how many of these people complaining about my style are just paid trolls? You know, let’s play kill the messenger if you really can’t kill the message. I listen very rarely because of Greg’s interruptions. It is annoying and disruptive. You might not think you need to alter this Greg but I for one would be a much more regular listener if you weren’t constantly interrupting to show us all how much you know. Take a page out of Eric Kings playbook. He asks a question now and then but he never interrupts a train of thought. I listen to the interviews and really don’t notice the interruptions that much because I listen mostly for the content, which includes the questions and the answers. I think you dudes are trying to make a mountain out of a molehill. Just relax and listen to the content. The real issues are not addressed via MSM, thus only few outlets such as this one. Relax dudes! So you like the MSM Ness where they ask a question and then allow the interviewee’s to regurgitate the socialist position. Absolutely right. It’s so distracting. The person asking the questions is the one in charge. I like having the guest answer specific questions if possible. Hard to get that from a general response that may not be as focused as Greg desires. Keep up the good work. I’m on a board that meets w/ politicians on occasion w/o media. The most productive meetings are the ones with the most articulate exchanges. We’re polite with significant expectations. Our opinions are often requested. Current topics and world situations are not a kid gloves kind of thing! Good interview! I thought his comments towards the end were quite sensible – while logic says that the manipulations should end, this has already gone on much longer than he thought possible, and so it’s hard to say what they’ll do next to keep the game going. I’m getting the feeling that the COMEX’s days as a price discovery mechanism for precious metals may be coming to an end soon. It took four months for the US to return 160 tons of gold to Venezuela and now all we can give back to Germany is 5 tons after several months. That would strongly indicate that there’s no government gold left in the US. Perhaps it was all frittered away maintaining the dollar’s appearance. Now, there are too many oil producers to beat up and make examples of in order to maintain the petrodollar, so the game might be reaching a type of terminus. More financial repression will probably be the response by government. A non delivery event is getting close. Thank you for weighing in. Thanks to Greg for putting on PCR in video, as not enough people READ his articles. Too much work for today’s lazy electorate. one reason to dump naked shorts is to lower price. The second reason seems to appear that the one dumping the naked shorts is the buyer . Great stuff guys, keep up the fight. and Greg it is you show just for the record.Keep up the so called interuption. Two good guys over and out. Every single time someone of this calibre mentions gold manipulation, there is another nail driven into the coffin of the manipulators. PCR is a benchmark and really is setting the tongues wagging across the globe. The last stated official gold held was 8,133Tonnes. Only 557Tonnes for 2012. However interestingly in the 2 yrs. between Sept. 2011 and Aug. 13 it has imported 2,116 tonnes.. In two years China imported >2,000Tonnes of Gold. In my estimation China’s gold hoard must be north of 4,000 tonnes. If the US gold were to be depleted then China’s gold should be substantially higher. Either China or the USA is lying OR THEY BOTH ARE. Keep in mind the world annual production is ~2,500Tonnes. Is China engaging in shadow gold buying and channelling it into the country…without doubt. We know of other nations (India) and the M.E. are big buyers. Central Banks are net buyers of Gold Bullion AND The FED’s Bullion Banks are net LONG GOLD. Those naked shorts, when they get triggered force the sellers to deliver. PCR is correct …they are stealing everyone’s gold. They allowed the price to escalate from $400/oz…..until it became a real concern for the USD. Keeping in mind that the psyche of the public….not interested in Gold….until it becomes news(covered in the MSM)….price moves above $1000/oz….and then $1650…and every man and his god wants it….before it becomes too expensive……THEN THEY SMASH THE HELL OUT OF IT….so that they can steal it all back while everyone says good riddance to that relic, before letting it move to the upside again. IN the meantime has anyone actually counted the profits they (Bullion Banks) have made on the downside. How smart are they…..now being NET LONG (physical) while pushing all the risk over to the HF’s/Money Managers who now face the WRATH of a devastating short squeeze. Some very significant money is about to get 3rd degree burns. The Public in the meantime, the ones who don’t understand Gold, will of course act when its too late. When they want it (because of what the MSM has said)….there wont be any. That’s the psyche of the market. Only the ones who truly understand Gold will benefit from holding it physically. I knew you would like this interview. Thank you for providing additional commentary and analysis to this post!! A good strategy is to buy the gold miners NOW, sell later at a “top”, THEN buy bullion and stay banked with it. Careful as AU at some point will be off market with none to buy. I Don’t buy that it’s going to be off the market. Oh, the gov’t may try but when half the country can’t enjoy their subsidized life style ( I hear the Subsidy Tree (middle class) has a fungus (life leaching taxes and no jobs) and doesn’t have long before it’s firewood) the junkies and gangsters will be looting the every thing. The people don’t want to.understand that the coming depression will be nation and civilization destroying. This is a very good point: “The Federal Reserve Act of 1913 did not give the authority to the FED to get rid of the peoples gold accumulated over many years.” Thank you for making it here. It’s hard for Congressmen to understand anything when they Don’t even READ the bills they vote on. They let their patrons tell them what to think and believe. Wendy Davis in TX was caught using loose language with regards to her bio which translates as she made up Shiite (she lied). The MSM doesn’t report Democrats lying. Obama was caught making up details in his autobiography. Why does this not matter? Why does anyone believe anything coming out of the Fed or this Administration? Does the truth no longer matter? Just like they beat up Christie (not that I am a fan) but let go of Benghazi, Fast and Furrious, IRS targeting scandle as well as many other transgretions of this administration that are far more serious than “bridgegate”. The MSM is a propaganda tool of the NWO progressives…. The very near future of Healthcare may look something like this. Let say you buy the plan that has a $100,000 deductible, so you have a plan that is $1600 per month. Say in 25 years you pay into it and you have a heart attack. Heart attacks cost $600,000 and you must provide the deductible of $100,000 even though you have already paid ($1600 per month x 12 months x 25 years = $480,000). But you still owe them $500,000. There goes your home and everything. Future investments for the ‘average’ guy will be impossible because there will be zero disposable income leftover each month…. PCR is always a great interview and he has a way of keeping it simple for all to understand. The article on his website is definitely worth reading as well and goes into greater depth like the most common times of day when all these naked short contracts are dumped onto the market. No measure of fraud is off the table when it comes to defending the dollar. Like you just stated I also believe a non delivery event is on the horizon and will probably be the catalyst that triggers the next Lehman moment only this time it will be far worse. As far as Fort Knox is concerned Jim Willie says they’re standing guard over canisters of nerve gas not gold. You may want to consider interviewing Dave Kranzler some day, I’ve been following his blog for some time now and is pretty tuned in to all the fraud and manipulation in both PM and housing. Great Interview, keep up the good work. Nothing bad about deflation except for the bastards in wall street and their buddies in Washington D.C.
Average American middle class will not harm from recession! So true, the FED’s policy if for inflation not deflation. Deflation is a dirty little word to the FED. Some good old deflation would benefit the working class of America making what little they make go further especially where incomes are not improving. Glenn Beck on his TV show contends that the Gold situation is far more serious and devious. Essentially all the Gold we held has been rehypothecated many times over. The Gold bars that were returned to Germany apparently were melted down and did not have the Country’s stamp to identify their Gold. Can you imagine what will happen when everyone comes demanding their Gold back and we say, we don’t have it, we sold it to China. Then those Countries confront China with, you’ve been sold our Gold, give it back. Um, I say that has the makings for WAR ! As Dr. Roberts said in one of his Blogs, “The US is driving the World towards War”. A simple model on the LVT part (Geoeconomics). How we got here…from a 90 year old sage. I enjoyed this interview Greg. I have always thought the fed would dictate to the government to confiscate all gold from the people in the good ole USA. I buy silver, and copper because it would be to hard to confiscate. One of the posters on your site posted that jewelry makers would order gold from the vaults to make jewelry. The gold did not disappear it simply was loaned to the people in the country. In time gold will be returned to its wrongful owners. The fed. Dr. Roberts is one of my favorite people to listen to. I have never seen him over react to things happening around him. Cool head. Thank you JC Davis. I thought this was explosive coming from a former high ranking Treasury Department official. Greg. Manta has 84,999 results under Jewelry Stores in U.S. I can only imagine how much gold has been sold over the counter in the last 50 years. How much was lost in lakes, trash dumps, and drain lines. How much is in senior’s jewelry boxes. This is one even Mohammad would have troubles adding. I wonder when a jewelry store goes under if they send back the gold, or exchange it in cash? The gold market is and has been manipulated for various reasons and I do not get why people complain about it so much. Gold is not going to “save” anyone who is not on the inside and I find it funny — and sad — that people think it will. The Fed will allow the gold market to be “free” as long as they can control it. But when and if they lose control it is game over for the gold holders — increased capital gains taxes followed by confiscation will be put in place. It has happened countless times throughout history and one of the most beloved presidents in US history did it not too long ago. People need to stop acting shocked and wake up — all markets are manipulated to varying degrees at all times; the only thing that changes are the players. And if you’re sitting here wondering about the” ins and outs” and the “hows and the whys” of the market then it is probably best to get out and not try to game the system. How many people do you think visit this site, PCR’s site and websites like these that are exposing this stuff? Not many. The average ‘Americanus Boobus’ in the street has absolutely no idea what is getting ready to come down around our heads. Most of them see the stock market going higher and their portfolios or 401K’s increasing and that is about as far as the though processes go. The financial media whores and the media as a whole tell everyone they are in recovery. Things might not be too good around their neighborhood but they are conned into thinking that the rest of the country is on the rebound. The illusion is going to end and end very badly when it starts to come apart at the seams. In 2010 I didn’t give us a snowballs chance of making it through 2013 let alone into 2014 without it all imploding but with the gold now drained from the west and both the gold prices and the miners so depressed that most won’t touch them I have to imagine that the rebound is going to take your breath away. When the veil of illusion is pierced, the market tanks and everybody desperate to get into something tangible those who have not thought ahead are going to be in a world of hurt. Got preps? And Greg, thank you for these wonderful interviews. There are a handful of websites out there who tell it like is is and do a wonderful service to help keep people informed. That being said I do agree that it’s distracting to your viewers to interrupt your guest in the middle of a thought. Attempting to minimize that until your guest completes his thought may be beneficial. Thanks again for the website. Doug, my comments were towards the commentators and readers of sites like this who act shocked when they hear that the gold market is rigged. I was not referring to the majority of the populace; I understand that they are not following the machinations of the market. As far as the market, I do agree that there are many bubbles out there — and most involve paper. Again, this is nothing new. As far as the price of bullion, do you really want to live in a world of $10,000 gold? Many gold investors are so fixated on where the price might go because they imagine how much their 12 gold eagles are going to be worth at $5,000 or $10,000 and do not take into account that the value of their increased dollar holdings won’t have hardly any purchasing power. Gold is a barometer for fiat. The price doesn’t go up or down; the value of fiat does. Greg has said many times that PMs are for wealth preservation (insurance) not for investment. Dr PCR was surprised at what they did so far to rig the game and said he does not know what they will do next. I will tell him what they will do next. They will go to war. I am afraid you are correct Mohammad. While the meetings in Switzerland are going on, a rocket fell on Eilat in Israel. Netanyahu threatened Hamas by a tough answer. If Iran that was excluded from GENVA II pushes their proxy Hamas to throw more rockets on Israel, this can ignite sooner than any one thinks. I said it before and i will say it again HE WILL KICK THE CHESS BOARD! For those who laughed at me when i said it before, mark my words! This is big news and probably my top story in the next Weekly News Wrap-Up. Boy this could get out of control in a hurry. Thank you for posting this! This would explain the article on RT a couple weeks ago about the German banks being ready to collapse. Germany as been put up to be the strongest economy in the EU when in reality they are in just as bad of shape as the rest of Europe. China took a 2000 ton gold delivery last month from the London Gold Bank, China now trading the Yuan for oil going around the dollar and the new deal China made with Russia to use each other currencies along their borders, I would say they are about done with the US Dollar. The Fed should have never done q.e. or operation, let us “twist”, in the wind! They should have let markets clear and unfortunately for us suckers they decided to intervene and keep interest rats low, artificially low, mind you! Which means that were operating on the supply curve. The housing market has been damaged by the low interest rates, not helped as some thought. Because no one in the private sector, in their left mind wants to make a 30 year mortgage at 4%, we have eliminated the private mortgage market so the Fed’s the only player in town. They should not only taper but unwind what they’ve done and as soon as possible. The fed has bought over 3 trillion in bonds of which 2.4 trillion is just laying idle on deposit at the Fed, for 25 basis points, can you believe it? Out of the 3 trillion, 2.3 trillion is not being used and is not being circulated, threw out the economy in a normal monetarist fashion. The growth of m-2 may not be perfect but it’s not a bad indicator, it shows that moneys not circulating. M-2’s been growing at about 6% for the last 20 years, what has q.e. done, except suppress risk and the private sector from making mortgages, that’s why we’ve had the slowest housing recovery in mankind’s human history. It’s because of what they’ve done, not in spite of what they’ve done. What it’s done is set into motion a bombshell. Two aspects of that bombshell, is there are all these excess reserves out there, that once the amount of the money multiplier starts working, you could have a very serious threat of inflation! No. 2 when interest rates go up and you mark the Feds balance sheet to market you could have an insolvent, broke , busted and disgusted Fed! Now I’m not sure what that means technically but I sure don’t want my central banker to have an insolvency problem! Their bond prices are going to fall so much as rates go up that on a mark to market basis the value of the Fed’s assets are going to plunge. If you go up to a 6, 7%, or 10 year bond yield, at present it could happen very quickly, that would leave a deficiency of 800 billion on the Fed’s balance sheet. The member banks all would be liable for that 800 billion! How’s the Fed to get out of this? They can do two things. They unwind the length of their maturities by having a deal with the treasury to swap all the assets, two years and over. With the treasury, for assets, lathered between zero and two years. So you take all the long term bonds the Fed holds and swap them for short term T-bills. Then what the Fed does is it distributes those T-bills pro-rata to member banks, according to their excess reserves until their are no more excess reserves left, then they stop. They don’t have to sell the bonds, they swap the bonds with the treasury for liquid T-bills, so they don’t have their interest sensitivity on the value of their balance sheet. Does that lighten the supply of money? It loosens it a little bit, the T-bills are pretty liquid and sitting their, your going to have a lot of sensitivity on the short term rates there, but at least it gets rid of the insolvency aspect of the Fed. There are no rules anymore, sound money policy’s are out the door, its all discretionary, it’s all what the Fed wants it to be. That creates a lot of uncertainty and actually stops business, slows down business, no rules. It has dramatically slowed down business, the economy has not recovered because of Fed policy, because of fiscal policy not in spite of it. We didn’t elect Allan, Ben or Janet Yellen and now the people are scream-in- it’s not the way the country should be run. We got to get back to 1979-80, when we thought it might be the end of the line in 79 according to Paul Erdman, but instead we got Steiger-Hanson, prop 13, the genteel giant Paul Volker and big cigar and a lot of state tax cuts and a pro-growth agenda. So stay long stocks, be totally invested, don’t lend money to your government and stay out of the toilet! Paul E. Erdman a writer of best-selling novels of financial intrigue who began his career in the comfort of a Swiss jail, where he was being held in connection with the collapse of the Swiss bank he ran, is best remembered for “The Crash of 79”. In 1970, Mr. Erdmans bank collapsed because of unauthorized speculation in cocoa and silver futures. Losses were reported to be in the tens of millions. Outlines it all very clearly. Keep in mind, that leading up to Nixon’s 1971 closing of the gold window, gold was leaving the US in large amounts as the French, Swiss and other countries were redeeming their gold in large amounts as was their right under the Bretton Woods Agreement of 1944. Thanks for posting the link. It sure looks like the proverbial straw that broke the camels back to me. The Fed has painted their way into a corner, and there doesn’t seem to be a way out. When the Gold is not delivered, the fraud will be exposed, and the downward spiral will haven very quickly I imagine. The question is how do they cover it up? False flag . War. ? Will nondelivery even be reported in the MSM? Who do you think they will blame? The Dems will say it’s the Repubs fault because they cut gov’t growth by a small amount and the MSM will report this fiction as fact. According to Mr. Sinclair they will start to deliver in cash and not metal. In other words, They will say there is no default because they paid in cash. I saw Mr. Sinclair this weekend and he was very informative. he says this is the year gold stages a big turn around and the bullion banks will be pushing gold back up. What a gracious man Dr. Roberts is. What is striking is the massive character differences in the leadership of today from the Reagan days… seems like a major upheaval will be needed. 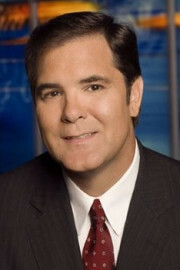 See how Jim Garrow and friends fare. Wow Greg! Wow. This was a really chilling interview. I always believed that the Feds had Gold hidden somewhere to back up their debt. Why on earth would any country continue to buy our Treasury Bonds if they knew the United States couldn’t fulfill their obligations? It just makes no sense. I can see now, why you posted this interview Greg. The perfect storm is beginning brewing. If the U.S. can’t deliver on these faulty shorts, how long will it be before the dollar is dumped as reserve currency? The U.S. has lost all credibility. I cancelled a very good interview to move this up ASAP. I think Dr. Roberts is correct this is an inflection point in the gold and silver markets. You said in part of your last sentence, ‘The US has lost all credibility.’ I was curious when you thought the last time the US was credible? Maybe 1985? Why T-Bills you ask? Very simple, they use the world reserve currency from their markets and then buy our T-Bills with the USD. Later, they cash in and buy farm ground, cities, mineral rights, oil rights, and so forth. With over $7T in T-Bills from more than just the main three (China, Japan. UK), they could purchase all farm ground in USA at well over $6,000 per acre average value…. I lost faith after the 2012 election, when it became apparent to me that the vast majority of the people in this country would rather drive what was left of our economy off a cliff, than face physical responsibility and stop spending. The day the progressives in congress gave a middle finger to the almighty, our doom was sealed. I agree. After 2012, I knew America is asleep and the end days are coming. Thus, time to quit worrying and just go to work and get ready. Even the pulpits are asleep. The old days, plenty of end times preaching. Today, just warm fuzzy stuff. In 1994, we were mad and voted against the system. Today, we are….I don’t know how to finish it, we are…. 1. Is not as big a problem as 2. A liberal calling for Obama’s impeachment. Thank you for this. I have been asking for awhile: Where are all the real liberals? I guess you found one. Real liberals were most offended with bush because of civil liberties. Witness however, Diane Feinstein supporting NSA tactics. This is the same point I have been making on the site for years. Where are all the “real liberals”? We have ongoing bank fraud and crime on a massive scale, NDAA, massive data collection and spying on all Americans, the drone murder program (that has claimed at least 100 children as collateral damage) and estate recovery for poor people forced on Medicaid. Het Libs where are you? Why don’t they stand up? (I am just as outraged with conservatives on all these points as well!!!!) Thank you for bringing this up here!! And sadly, just one honest liberal. Most liberal believe in their cause to the extent that they can justify lies and criminal behavior to obtain what their feeble minds say is a right. Even when it is clearly wrong. The currency reset is coming. Why? Because the banking Elite want it. If nothing else to cover up their theft. Jerry interesting video. Oligarch’s world wide wonder who are the powers that be. It is for sure something is changing at the top. Greg: Were does one begin with this topic. Dr. Roberts is a learned man- so he has credibility, but truly Greg- you already knew this? So many of your excellent guest have stated this over the past year or so. Were did it all go-no one may know for sure, I would suggest checking the vault of the Rothschild’s, the Queen of England, and others elite’s- they are all banksters. Price of gold and silver- many of your experts say the “sky is the limit” Soon, people will have wished they had bought it now at any price. I believe it was Mr. Jim Sinclair(Mr. Gold) that told you he thought it would be $100,000/ oz. and maybe more. For sure that is ” the sky is the limit” as most would think. Dr. Roberts say and it is true that gold has been manipulated for decades. The price is held back for decades – when this ends it has to explode upwards, beyond most people’s reach. SO BUY IT NOW IF YOU CAN- SILVER IS A BETTER PLAY! ALSO, WHO STOLE THE GOLD = try this on- Bill Clinton and his gang of thieves. see this article – http://zenzoneforum.com/threads/19050-Clinton-Linked-to-Fake-Ft-Knox-Gold. Google anything about Clinton and fake gold. I was told this many years ago by a CIA agent- told be this did happen. Said the real god was taken to So. America and is stored down there in vaults. TO MAKE IT SIMPLE THE GOVERNMENT IS CONTROLS BY THE BAD GUYS- CORRUPT TO THE CORE AND THEY ARE IN CHARGE. aS PEOPLE ABOVE HAVE SAID AND GERALD CELENTE SAYS- WHEN ALL ELSE FAILS- THEY TAKE YOU TO WARS. WAR IS COMING!! We have a lot of explaining to do to our kids and grand kids. I won’t buy any gold coins because I don’t trust the system anymore. How can I prove it is real? On silver, I will purchase some more coins until around April or May 2014. After that I am done, unless I see a bargain from some idiot at an estate sale. Is it possible that the USA still has gold, but that the elite few are hiding it somewhere for ‘their’ better day and not ours? When you hear these words said by a guy with the experience, integrity and hard won wisdom held by Dr Roberts you better pay attention. BRIAN: YOU ASKED – WHAT WILL THEY DO NEXT?? HERE YOU GO- FOR REAL- CUT AND PASTE IF YOU HAVE TO THE WEBSITE!!! This interview was on DEC. , 2013- a month ago! Lindsey will explain the Obama care- (not health care at all). Open this site and move the sliding time scale at the bottom to 15minutes 30 seconds-this is where Lindsey comes on..
At 21:30 he talks about Obama (not) care! He then goes into what is the coming total collapse!! It’s when the ‘banks closer and the government steals your money”!! He expIains this from what he was told. He states all pension fund will be taken. Also, there will be a currency reset/ dollars will be more worthless!! I’ve heard from other sources- this will be one dollar for every 5 dollars today! But, Lindsey says on the global reset we’ll loose 30% of the purchasing power of our money! I have told you this so many times from so many sources- I feel I’m totally wasting my time. Yeah, I have heard Lindsey on C2C and heard alex jones interview him several times as well. The things that were easy to laugh off just 5 years ago and sounded utterly insane 10 years ago are looking pretty plausible now aren’t they–scary scary times. Greg, I believe Dr. Roberts and you. We are at the point where we cannot believe one word the Feds say. Of course they are masters at snippets of truth, but we will NEVER heard ‘The Whole Truth’ and ‘Nothing But the Truth’. Everything they do is against America’s best interests. The wicked globalists are the men behind the curtain and they need to take America down before they can force a World Government. Thank you Diane Ryan for your comment. Does anyone still wonder why we were (are) eavesdropping on Angela Merkels personal phone calls? How long will Germany continue to be our ally when Russia and China have all the gold including what used to be Germany’s gold? What sane leader/country wouldn’t wonder who’s next? I see a couple of gold mines in New Zealand are laying off more staff because of the low gold prices. Has anyone been inside Fort Knox lately? A great deal of the Ft. Knox Gold was shipped out of America in the 50’s and 60’s. Christopher Weber wrote his book, “Good as Gold”, back in the 70’s when hardly anyone was even thinking about this subject. It goes into detail about how & when the Gold was removed. Check the Lew Rockwell site for a piece from 2010.
correction: Weber wrote the book in the 1980’s not the 70’s. I heard a preacher say yesterday that he knew Obama couldn’t be the antichrist. He said the antichrist would poll better. Hey Greg, you usually ask the questions I would ask too so I’m happy with your interview methods. Especially if a guest is drifting off in some unknown direction, you need to keep some sort of control I guess. I enjoy your honest approach and I especially like the fact that you and your guests feel able to say “I don’t know” on your show. That’s a sign that they aren’t bluffing or just making things up. So I came to the conclusion a while ago that ”paper gold” will probably keep dropping in price and the price of the real metal will soar. After all, why keep ”paper gold” (even by their own numbers leveraged over a 100 times) if one can get the real stuff still for almost the same price? My bet is that one day (soon) the two will start to diverge. See for example the Shanghai deliveries (if I recall well on +-60% of the contracts vs a few percent on the Comex). Shanghai already has a premium worth arbing….. Anyway, thanks a lot for what you do and keep up the good work! Thank you Hugo for commenting and adding your analysis. In case you did not see it, the gold trader author mr Roberts wrote the piece with just posted a new post on his blog also talking how important it is to differentiate between paper gold and the real metal. ”It is of critical importance to distinguish between paper gold and physical gold…….. The difference is crucial because paper gold contracts can be printed in unlimited quantities and dumped on the market. …… The ratio of paper gold products to actual physical gold is at least 90-100:1. At least. Thank you Hugo for the comment and the link. Good idea Agent P. I’ll get try to get him on soon. Greg, paper gold is not worth the paper is written on, its just another contrived ponzi scheme whereby when its discovered that there is no actual gold to back up the paper its a bubble bust with bankruptcy courts trying to divide a pound of gold between one million paper owners. Brilliant as the evil scheme was to dream up the idea of paper trading, its still fraud because the paper implies the gold is there if you want it, but of course it never was. Beware the guys who say they will safe keep the actual metal for you and send you the “paper” shaft. PS: Keep interrupting, is informative & good interview technique. From the Western Front, Art B. After an unsatisfactory 1976 attempt by the US Treasury to answer its critics, the curtain came down. The next President, Jimmy Carter, was even worse. His people were even less interested in candor than the Ford officials were. And Reagan? Although he made nice noises about a return to a gold standard, his officials met any attempt at an honest and transparent look inside Fort Knox with slippery evasions that contained more than a hint of ridicule and mockery. Greg, thought your listeners would be interest in this recovery item: In the past five years alone, the number of households on food stamps has greatly increased. In fiscal year 2009 – Oct. 1, 2008 through Sept. 30, 2009 — the number of households on food stamps was 15,232,115. Five years later, in 2013, that amount had increased by 51.3% to reach 23,052,388 households. So much for the so-called recovery. By the way more Bombardier to lay off 350 more at Wichita Learjet plant Bombardier is cutting 1,700 jobs, including 550 at its Learjet plant in Wichita, the company told employees in an internal memo Tuesday morning. This layoff, of course, of over and beyond the pink slips the company gave near the end of the last year. As you once said, the cracks are everywhere if you just look! Bad lots of Gold, This is bad advice for several reasons. First, you can get your hands on as much gold as you want. You can put your entire net worth in gold. It isn’t as though gold is difficult to purchase. We have several shops in town that carry gold coins. You can also order gold coins on the Internet. They mail them directly to your door. There is no shortage. In 2012 Gold was $1,600 an ounce. At that price, a million dollars of gold coins would only be 625 coins. Since there are 12 Troy ounces to a pound, your million dollars of gold coins would weigh only 52 pounds. And since a gold coin is 1.29 inches in diameter and 0.12 inches thick, you could fit those million dollars of 9 rows of 70 coins each. The dimensions of these 9 rows of coins would be 1 foot by 1 foot by 1.29 inches. It would fit in a small box or briefcase. If there really is a collapse of the money supply it is difficult to believe that your briefcase of pretty coins will still have any purchasing power near $1 million. In the 1970s, Christian singer Larry Norman made popular the Apocalyptic song lyric, “A piece of bread could buy a bag of gold” based on Revelation 6:6. In The End, I’d rather not have bought as much gold as possible. I am quite sure anyone buying gold and silver is also buying many other things, including storable food and water. A balanced survival portfolio is the smart way to go. Thank you for the comment and the link. That is what I am doing–diversify. Here is mine again. 1. Getting debt down so I can have more disposable income. 2. Food storage of mostly #10 cans and canned goods. 3. Seeds for garden and for neighbors if willing to work? Must dos in near future–get the 2 way ham as Ols suggests, camping stuff, and a BOL that I may know. Good luck. You will be better off than 99% of the country. Sounds like a good plan with little downside. Thank you for sharing. Check out Bilolite Stoves. You can charge your phone or I-Pad ( in may case ham radio ) while you are cooking. Generates its own electricity off of scrap wood. I’ll look into it. I wrote down their website. It looks like a good stove to have, thus I’ll more than likely order one. US (Fiat) Debt @ $17TLN = 330,473 TONNES of Equivalent Gold. This Fiat based monetary system is built on confidence alone. Its a CON. You still think there is plenty of Gold ? Do the same math on the US and then the Global M3 money supply and you get an even more disturbing picture. Greg, you have good instincts to sound the drums about the disappearance of physical gold,as your interview may actually get the snowball rolling. Then again maybe not, but you tried and I commend that. In retrospect, I think this will be considered to be one of the greatest frauds ever put over on the American people. Americans have the mistaken notion that our dollar is actually backed by real gold, if not implicitly, at least as a gesture of symbolism or false bravado. The dollar is strictly a confidence game, as flimsy and immaterial as one of Lady Gaga’s outlandish costumes. Germany has only received one-third of one percent of its gold held in America. I think we can assume that most of this gold (and other gold depositories) has gone to China and to some of the private stashes of the well-connected super-wealthy. I’ve read some experts claim that China could have as much as 8,000 to 12,000 tons of gold, although they officially report to have a bit over 1,000 tons. I doubt that the U.S. has even a fraction of the 8,000 tons it claims to have. It’s possible that America is holding a bunch of gold to use as a trump card, but I really don’t think so. Everything else that the White House, the Fed, Congress, and the Courts are doing is tearing the country apart. From Obamacare to the defeat of Vietnam (oops, I mean Iraq) are all lies and tragedies, so it make no sense that they would actually do the smart thing and store some gold. I think that gold plays a pivotal role in exposing the faults and myths of our fraudulent dollar, that’s why our government can’t help but demonize it. Here’s another curve ball to consider. There is a school of thought circulating that the Government of the future will introduce Confiscation of Gold (as it did in 1933-34). I don’t subscribe to that line of thinking …BUT…. What if …we have/are witnessing the Confiscation of Gold via theft through the process of price manipulation. Seems plausible to me and it avoids the trauma of cumbersome process of enacting the necessary….. which would only illicit rioting. Confiscation remember was/is really about the devaluation of the Dollar. 13 years of Gold price appreciation (since 2000) has equated to > 30% loss of value in the dollar. Gold and the USD are inversely related. Makes for a compelling storyline….don’t you think ?? Especially when you consider where the Gold is now (out of the public’s hands – which is what confiscation achieves anyway) & into very strong hands in the EAST…….the same who desire to create a new monetary system (NWO)….whilst having control of the Gold and some degree of Influence by way of Petro-Yuan. One could take this further and even contemplate that those who hold the wealth behind those that have transferred all the manufacturing and technology to the EAST, having also infiltrated the developing world, have done this by design. The mind wonders at what they are capable of achieving. While all and sundry sit on the sidelines postulating about what they have done or what they could do. I have grave concerns that it is too late. Their actions speak louder than words. This will go down in the history books as a heinous crime against the American people. Wow, a light was just turned on in my head. Thank you for the illumination! The path of least resistance and maximum gain is not confiscating gold or silver. The amounts in private citizens hand is tiny in the grand scheme. The way the government can get the money it needs when the fed stops financing its deficits is to require people to convert and hold a certain pct of their 401k and IRAs in US treasuries. It can be sold as “safe” after the next stock market crash and the average person will accept it willingly. LM QE is a form of theft of the dollars as it is inflationary. QE should therefore cause non dollar denominated assets like gold to rise and it did until 2011. So your theory makes sense in that the theft is not complete if people can protect the theft of their dollars by moving them to gold. They need to steal the gold too! However, inevitably the gold price is determined by physical demand so that scheme is destined to fail. “They need to steal the Gold” …THEY HAVE and CONTINUE TO DO IT. See my response to Scott below. My grandfather had a Bank box in a Bank during the depression. He told me when he went to open his box that there was always a Federal Regulator present to examine the contents. He said confiscation of Gold by the Federal Regulators was not uncommon. That’s why people began putting their money under a mattress. Make no mistake. When the NWO is done draining the Gold, there will be Bail-ins soon. Bingo. They are confiscating more or less in plain site. Many of the old school had gold purchased at old school prices ($20-180)…they sold out long ago ($500-800) and few if any would buy back in today. Those who bought in at the old school peak ($500-800), are still setting pretty well. I would suspect that there are very few in this category who bought in this range. There was a lot of hype and buying during the big run to $1,900 and $50 (for silver). Some sold and took profits, many held because they (like PCR), thought it was over. Many in this group also sold/got out…lesson learned. Some still hold out…fewer by the day. This continued assault is only to shake out weak hands and it has been relentless. The assault is to eliminate those who bought for investment…better get out before my “investment” is worth nothing. To eliminate once and for all the faith in real money. To eliminate the faith that there is still value in something that took incredible thought, labor and ingenuity to gain…for thousands of years. Hey, just turn it over for our printed “faith” and we will take care of you. No thanks. The power of real money in the hands of those who will not quit is the biggest threat to these bastards…and they know it. They know the importance of Gold. They have full awareness and acceptance of gold price appreciation. The move to $1900 was indicative of the imbalance of External Debt/Fiat money and GDP. It was a trap for the unsuspecting. They let it run, encouraging the public at large to get involved, and then smashed it down. Nothing turns the masses off like crashes/corrections. If one has eyes one can see that their actions are different from their words. 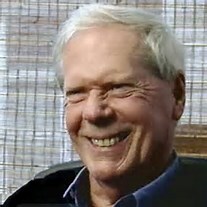 I really enjoy your discussion with Paul Craig Roberts. I’m in agreement with most of his comments expect on his prediction of the world governments abandoning the dollar. What is a viable alternative at this point, the Euro? I love liquid motion, but I respectfully disagree with his theory on confiscation. Less than 1% of all financial assets are even in gold, with the average American citizen owning none, zero, nada, so there is nothing to confiscate- worthless jewelry aside. Americans lost their love affair with gold in the 1930s as he pointed out and that love affair will never be rekindled. Those of us who understand then history of fiat currencies and the current trajectory of Western markets WILL NOT sell anytime soon no matter what subterfuge our leaders employ to separate us from the only money that has ever existed. The manipulations have been occurring for the sole benefit of the primary dealers, ETFs (COMEX/LBMA), and Central Banks, with the intention of eliminating forever gold’s monetary role, the only proven antidote to their economic poison of currency debasement. They have not succeeded nor will they ever succeed in achieving their objective. To the big players, gold is only relevant in paper markets they control; however, with Sovereigns (CHINA!) now taking physical delivery, their scam is just about up. It’s also hard to overstate the Bank for International Settlement’s role in all of this, for they are the puppet master pulling all the strings. How paper money printed on a whim is a TIER 1 ASSET while gold is not tells you all you need to know about the price fix at the BIS. The PM price smashes have been nothing more than a futile attempt to protect the dollar’s reserve status AND to keep ordinary Americans from seeking an alternative to FRNs. Furthermore, there is something so simple at work here that it just defies logic as to why nobody ever talks about it, PCR included.2008 was the end of the fiat experiment begun in 1971 by Nixon. The system should have crashed, the TBTF should have been liquidated, men like Dimon, Paulson and Blankfein arrested and imprisoned, the USD removed as the world’s reserve currency, and last but certainly not least, a severe global depression should have commenced, wiping out China’s labor arbitrage advantage, thus killing this globalized economic experiment once and for all. A new global monetary system is needed, period. Everything else is just static. Any critical thinker can see that the dollar and its debt instruments are dead and buried. The walking zombies facebooking, playing video games, twerking, and taking selfies just don’t know it yet. Yes the U.S will always be able to print dollars, but sooner or later we will not be able to export our inflation. This is when hyperinflation will occur. Basically, the manipulation of precious metals prices won’t matter until it matters. And the day that it matters is rapidly approaching. Love the website. Keep up the good fight, my friend. Thank you for giving a respectful counter argument and for taking the time to add your perspective. I am sure LM will reply. This back and forth by you guys helps gives the site depth and I appreciate it. I saw someone did a study of how often the word gold appeared since 1900 and its definitely on the decline. Gold and silver have been demonetized and under owned by US citizens. Confiscating gold and silver would be a waste of US government’s resources when they could easily digitally confiscate bank accounts, IRA and 401K assets. (and convert to US treasuries). Now in Asia, its a different story re gold….. I couldn’t have said it better myself. We are truly on a collision course with our fiat currency and bad debt. The only thing the average person can do, is move to the back of the train before impact. Both indicated that there is more gold than what most think, true Jackass did not say it that way, he said 18000 tons of gold delivered in one year. The only possibility that no one is entertaining here is the abundance of gold (from alchemy?). Respectfully, I’m not really sure what you are saying. 1)	I couldn’t care less how much gold is out there. The current system has reached its end. We have a global economy now and that requires a global monetary system not predicated on a single nation’s currency. An ounce of gold will always be an ounce of gold. A dollar, on the other hand…..Oh sure, I watch the COMEX, SPDR GLD TRUST, SLV drawdowns, but just to stay informed. The big picture is as bright as it has ever been for PMs and I will not liquidate my position until the next crisis is well along. I wish the price would fall below $1,000.If HSBC and the Morgue want to give it to me on sale, fine-SMASH IT MORE. This would crush miners and expedite even more gold to China. Less supply more demand-Let’s see the Fed fix that. Not that I mind the current price, which seems to have found a bottom. We’ve had the Fed Funds Rate at 0% for 6 years and still there is no CAPEX or infrastructure spending. Every trade on every market everyday is a manipulated event benefitting the NWO and I WILL NOT participate. Phantom ledger transactions ARE acquiring REAL, TANGIBLE assets while saddling the world with hundreds of trillions in future debt. OTC derivative are over $1 quadrillion dollars, with 50% of that in interest rates swaps, for crying out loud! For the first time in history there are 5 bubbles which threaten world peace-stocks,bonds,real estate, US Dollar, all fiat-I’m simply trying to protect what little wealth I have. It’s truly sad what is happening to humanity. Some crisis of historic proportions is coming and I want to have my money as close to me as possible when it comes to pass. Once bank runs occur and strict capital controls occur, or some other cataclysm, people will then finally come to realize how much of an illusion their lives have been. Unfortunately, it will be too late at that point. 2) Throughout recorded history, economic supremacy has always resided in the nation holding the gold. And no economist, academic, or mainstream media puppet can ever change this fact. The dollar is a dead man walking. Ultimately, the free market will force a deflationary crash in our current economic climate, followed by hyperinflation of ALL fiat currencies. Whether or not we go back to a gold standard DOES NOT MATTER. Once a nation is willing to settle any trade in gold, what could the U.S. do? This would be a defacto standard. Look at what was part of the agreement with Iran-“Some curbs on gold trading also will be removed. While Iran will be allowed to buy and sell precious metals, including gold, it will be barred from accepting them as payment for oil or any other sanctioned transaction, according to the officials. Iran sits on the world’s fourth-largest proven oil reserves.” The United States knows that gold is moving toward the financial system and its terrified that the military industrial complex will not be able to plug all the holes in the dams forever. The U.S. also understands that despite 70 years of economic propaganda, gold IS NOT a barbarous relic and needs to be manipulated at all cost.This can’t last and I’m patient. I humbly and respectful disagree. The 170,000 tons of gold is a lovely fairly tale. Perhaps Hudes saw documents saying this but that doesn’t mean that it wasn’t fiction that she saw. If they had concerns about her loyalty, No telling what they feed her. It’s a common technique to discredit and / or out a mole. and the Cold War that it would be over run. 2) if we weren’t being drained of gold in the early 70’s , we wouldn’t have taken such a drastic action. Remember the grain sales to the Soviet Union? They paid gold. Its a matter of context my friend. When confiscation is viewed in the layman sense, its seen to be taking/removing/stripping/stealing possession of something, from each individual or entity for erroneous reasons. In the matter of Gold, its associated with Dollar Devaluation and Inflation. My theory is that confiscation has occurred right under the nose of the unsuspecting public. I am not referring to private ownership, its the public ownership that’s of major concern. USA Gold (hardly immaterial in $$$$ terms) is owned by the Treasury and held by the FED. We should not be complacent about the distinction between ownership (Treasury) and custodianship (FED). They are completely different concepts, as Germany has found out. On the issue of ownership, the Treasury’s Gold belongs to the US citizens. Some 8133 Tonnes of it. Valued at $1600/oz equates to $418BLN. At $10000/oz ….$3.5TLN. The FED, in all its conniving brilliance has utilised that Gold for the purposes of keeping the dollar destruction under control (somewhat). Their explicit intention is to create inflation and they have achieved that although not as planned (side effects). Whilst printing money to satiate the imbalances/shortfalls in the largest banks they have had to deal with the runaway devaluation of the dollar. To counter the devaluation, the accessibility to physical Gold is paramount. Keep in mind that circa 1933 confiscation removed the benefit that would have been bestowed upon those citizens and other entities that owned Gold. That benefit was the protection offered in a devaluation of currency that effectively took place when gold was re-valued, thus creating the INflation that the FED so desperately wanted to achieve. As we don’t have a gold backed currency, the FED’s only option is to undertake QE/aka money printing. Removing the Gold is part of the equation, for without it , we would have seen the destruction of the dollar back in 2011. Now what the FED have achieved (together with the Bullion Banks and LBMA) is to make Gold appear worthless (via shorting on paper contracts). In effect they are confiscating the Gold through the mechanisms PCR describes. As PCR suggests…. ” All the Gold is Gone…There is none left” . The FED has confiscated the Gold !!!! Greg. Could it be that the fed did not give Germany there gold in full because the don’t want the euro to trade in gold with china , and the BRICS. ? At this point nothing would surprise me. One thing is for sure, gold is being held by strong hands and the supply that can be bought is dwindling. Thank you for your comment. I tried to translate it to English from Arabic to the best I can. You may not find this video clip any where, i got it from Alarabiya.net website. It is the opening statement of the foreign minister in Syrian government and in it I would like you to pay attentions please to the POINTING THE FINGER TO KERRY and to the assistant in the rear of Waleed Al muallim how she laughed when he pointed the finger. That clip talks volume about how weak US became, and how Isolated US is. This is an indication of a grave decay in our position in foreign policy and isolation. I give the credit to Assad, he has a point in fighting the foreign terrorists leaked to Syria from Libya through nato Turkey under the watch of US!!!!!!!! Thank you Mohammad!! Syria and the general region is the place for Armageddon and it is far from over. That tells you the “truth” shown by yahoo and MSM! Reality overseas is not conveyed to American people here, It happened for me to know Arabic so I caught up on the real picture not the edited one. I’ll bet the Saudis will stop trading their oil exclusively in dollars this year. How much longer can this go on in the M.E. without war breaking out somewhere and it might break out everywhere all at the same time. Thank you for adding your unique perspective. I think you are spot on man!!! Today I read that the new ambassador to Norway doesn’t know anything about Norway. Sounds like he fits right in with Obama who doesn’t know anything about the US. The USA has a lot of blood on our hands. We have committed sins against humanity. I believe Revelation 18 speaks mostly of the USA. Americans will wonder what has happened when that day has happened. Our attitude of ‘ignorance is bliss’ will soon be here in forms of economic disasters. I wish we would wake up, but I do not see it…. IF ignorance is bliss, then tis folly to be wise. Greg did you see the unemployment figure from a Wall Street News ? 37% , If that isn’t depression numbers, I don’t know what is. Right now the only thing holding the economic system together is QE printing. Forget about who’s going to win the next election. We won’t make it that far. Yes and I posted it but thank you for posting it here. This pretty much says there is NO “RECOVERY.” At least no recovery for main street. Thank you. That quoted number of 37% is actually derived from the participation rate which is at 62.7%. When taken from the whole (total employable population) the remainder is 37.3%. Just FWIW and to fully appreciate the relevance of the number. As always, an interesting interview with Dr. Roberts. What I believe we are witnessing is a tussle between the power elites of the West and those calling Asia their home, though both are multi nationals. The western elites, mainly from the U.S. and Britain, off shored their industries for cheaper labor costs and a system of totalitarianism more to their liking. These investments also gave them leverage with the Asian elites,opening markets for the western elites financial entities. The fact that China’s elites are purchasing precious metals is an indication that they are positioning themselves to challenge the western elites as to who will be top dog in global economic dominance come the monetary reset. Despite this tussle for dominance, which could possibly play out in war, both oligarchs have a similar future vision of a one world governing body under their control. Perhaps a consensus between these two groups will come about with a division or even shared or joint ownership. Inter marriage between the western and Asian oligarch’s heirs would be a sign that a deal to share the spoils has been worked out. The end game goal of the world’s power elites is to be rid of troublesome democracies, wherein the working classes have voice in the structure and decision making of society. This will be accomplished by economically starving those democratic loving populations into submission. Whether this gamble by the western elites, by off shoring etcetera, has cost them their top dog position amongst their rarefied brethren remains to be seen. Unfortunately for the west’s elites they have the heavy lifting to do having had their worker bee populations wrest some power from them in the past with democratization and with some of their members wrecking their financial system’s stability with over arching greed. It is the genii of democracy that will difficult to put back in the lantern. Good comment and analysis. Don’t give up on America man. This site has a ton of guests, Mr.Roberts is one of the best (in my opinion) interviewers we get here. This man is a realist, and because of that, I salute him. He doesn’t really give opinions, rather he presents facts and connects them. You can tell this is his mentality with how he answers questions, for example when greg asked him wants in fort knoxx, he honestly responded with “i don’t know i haven’t been in there”. Hes logical. Now, about GOLD….In the event there is a “American Revolution 2.0” and after all the violence and mayhem settles and people begin to ponder how to approach economics, they (the new American leaders) will probably come to the conclusion that precious metals are the road to go in terms of establishing a currency. Now, according to Mr.Roberts it’s “all” (if not most) been shipped to India and China. So much for that plan of bringing gold back into the picture being that none of it is physically here. This seems WAY TOO convenient for NWO/NATO fan boys :). This was engineered. Give all our precious metals to the two highest populated nations in the world who can protect it damn well (if not better) then our own government could on our own soil. As for requests by nations for their gold and the US not responding in a timely manner, yes this is odd, BUT there is always the possibility that this might be a “political flex” of showing power rather then a complete lack of gold in supply. Example, a young son ask his father for 50 dollars, father laughs, gives him 10 dollars instead. Obviously the son doesn’t really have the capability to seize the 50 dollars from his father due to his father possessing more “power” , so the son has to accept it and move on. America is the father, and germany and other nations demanding gold is the son. Albert in your example the father has more than $50. It appears that Germany is as desperate to get as much of their gold back as China is trying to hoard as much gold as possible. Do you think Germany will abandon the Euro if they get to the point of shoring up their gold reserves? Why would they want to get “their” gold back if its just to back the Euro? What would be the point of that? The Germans did not get back the gold they moved to the US. Their bars were all marked with German “logos” etc. and the bars they were recently delivered were plain indicating it was gold that had been melted down and then cast into new bars. It wasn’t their gold! Russians may score in Syria but they are getting some trouble in their flank UKRAIN! On a different subject. Voting. We will never have a elected government as long as the people can not trust there vote will be counted. The only way I see is to have a more open count where every one is given a number they can research to insure there vote went where it was supposed to. State of Ca. has hit a winning anti gun strategy. Pass a state law that adds such a burden to manufacturing that it is prohibitive to make . Reminds me of a bid I did for the City of Richmond, VA for handguns for their police department about twenty to twenty five years ago. They wanted me to supply three fired slugs with each firearm. They were dumbfound by the cost yet they had written the terms of the bid. Can anyone guess what it cost to have three certified slugs (fired projectiles…bullets…three kinds of ammo) so they could match them to any police shooting? PCR’s reasoning seems plausible and that scares the dickens out of me. I thought the USA would go back on a bimetal system of gold and silver but this time, we wouldn’t have a fixed rate on silver to gold. The exchange rate between the two would fluctuate daily based on availability. This is to prevent what happened when all the silver was found out west. If we don’t have any gold, I guess we are going to have to set the dollar at a fixed weight and grade of wheat, corn, etc. I don’t believe that anyone is going to take fiat based on the full faith and credit of the USA after we default, which based on what we owe (not the 17 Trillion, more like 200 Trillion) plus the USD fiat in circulate (another 12+Trillion) is going to be a spectacular implosion. The kind that would happen at Challenger Deep when your hull fails; it happens so fast you don’t know your dead. All I know is that this news really puts an edge on things. As far as the gov’t going around confiscating peoples gold, it is not without precedence( http://www.forbes.com/sites/richardsalsman/2011/04/06/the-bank-runs-of-the-early-1930s-and-fdrs-ban-on-gold/ (, but it will be at least ten thousand times harder. Why do I say that? Most of the gold was in bank vaults in 1933 when FDR stole the publics gold. It appears that today, most of the gold in the US owned by the average person is a wedding ring. I think that gold is going to be so valuable that it will be used for large purchases and silver will be the day to day metal and not much of that. I have talked with some people that believe US coinage is going to be worth something when Fed notes become worthless. I don’t think that is going to happen. At least the stuff made after 1964. Just my opinion. Why would I take a 2013 quarter with a metallic value of $0.045 be worth more because it is made by the US Mint instead of Federal reserve? I think it will continue to be used as small change until the melt value significantly exceeds the face value. Metallic values would have to increase by 500% for it to be worth the current face value. I have been wrong before but in other nations where inflation hit big-time, people stopped using coins as they were worth so little. And the US Mint will recall coins if the melt value become worth more than f ace value or even close. I am convinced 2014 will NOT be a repeat od 2013. Brace yourself. Gold confiscation will be a chore this time as people know what happened to their parents during the FDR era. Even then the US government only garnered 20% of the gold held by private citizens in this country. A simpler change I see would be outlawing the use of gold as a monetary exchange. I tend to agree with Mr. Roberts views about US gold holdings most likely have disappeared over the years. Follow the money and you will find the East buying up all the gold it can get is hands on. What’s even worse they are using US dollars they hold in treasuries to buy it. Jim Rickards agrees with this as well. I think the world is getting tired of the Greenback as the reserve currency and many countries want it eliminated including many of our allies. Just take a look at this administrations demands concerning trading for oil with Iran and later granting waivers (I just laugh at this). Our allies and the world told this administration to take a frigging hike they were going to buy Iran’s oil no matter what the US said. Many of them our allies! A very informative article Greg. There are a number of terms being spoken that I do not understand such as short selling, naked shorts among others. Perhaps if you or Dr. Roberts could explain what many of these terms mean as I am no financial expert, only a guitar playin’ libertarian. When Dr. Roberts speaks I definitely pay attention. Agreed–Thank you for weighing in. Do you think we really know the true reasons that Germany can’t get it’s gold? It appears by all analysis that it isn’t there…. Sometimes the truth is right in front of your face…they don’t have any actual Gold. It is laughable that you would write an article without even spelling Exchange Traded Funds, rather Exchange Traded Products since GLD is a non 40 act trust. Perhaps you should learn how to spell those products that you deem “fake”. Additionally, if you are so convinced that products such as GLD do not actually hold gold, what with the independent auditors and readily available audit documents found on the products website. You seem to be another hype monger utilizing conspiracy theories to drive web traffic. A scolding from an anonymous commenter. You are so brave and believable and experienced. Right. I can go online and trust the accounting? That’s a good one. Name me one big-time banker that has gone to jail for rampant fraud? Waiting……waiting…….waiting……..!